On July 30-31, NASEO, in coordination with the U.S. Department of Energy’s Office of Cybersecurity, Energy Security, and Emergency Response (CESER), hosted the “Viking Shadow” Energy Assurance Workshop for the Midwest, Great Plains, and Rocky Mountain regions to improve states’ ability to identify gaps in current energy emergency plans as they relate to cybersecurity, fuel coordination, and multi-state coordination; examine state and federal government roles and responsibilities during energy emergencies; and encourage increased coordination between states and industry when responding to events. 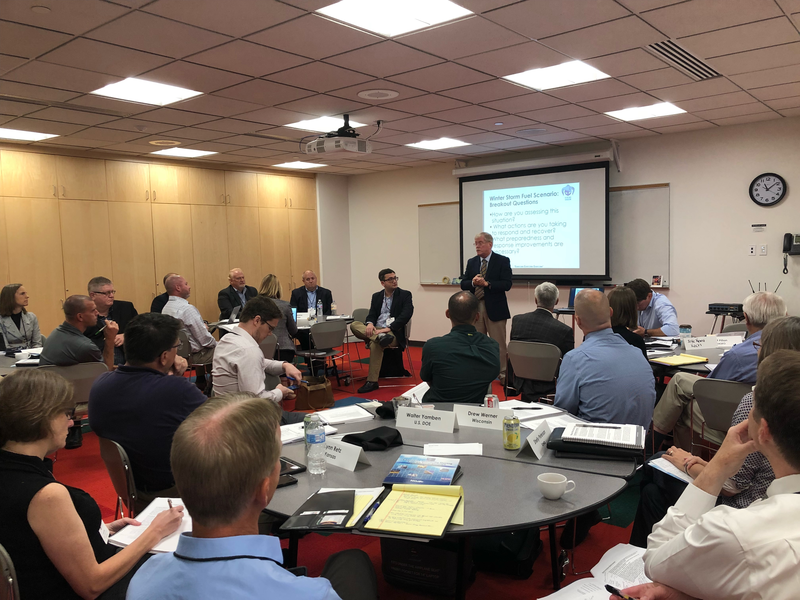 Approximately 75 participants from state and federal government agencies as well as key partners from across the electric, natural gas, and oil sectors, including energy suppliers and trade associations attended the workshop. Presentations and resources from the workshop are available on NASEO’s website.